Like-minded people play basketball in Dubai which crosses all nationalities and boundaries so a great place to cross a few boundaries of your own. Over 120 nationalities live and work in Dubai and this international sport encourages participants of all ages to get involved. Basketball in Dubai is one sport which attracts a growing number of followers and participants. 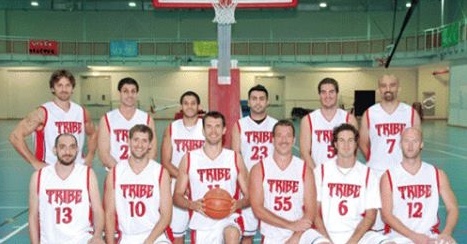 Over the past ten years, the number of basketball teams has significantly increased in Dubai. The number of local teams has remained the same with 4 clubs being Al Shabab, Al Nasr, Al Wasl, and Al Ahli. However, the number of community teams has continuously grown. Dubai Tribe, Dubai Fire, Dubai Legion, Wrecking Crew, Dubai Storm, Aramex, the Lebanese Community, the Regulators, Fly Society, and the Syrian Community are among the major teams of adult expats. Most of these teams have been formed by ex-professional players from across the world, and these community teams stand for recreational purposes. Some teams organize practice sessions while others participate to different leagues and competitions such as the D-League, Dubai Corporate Games, and Duplays. If you’re an aspiring basketball player or just love to watch then check out the Dubai Amateur Basketball Association (DABA) website. Do you have a specific question and can’t find the answer on the DABA website? We’re here to help! Send us your query and we’ll respond asap.